I know we've all seen FrankenJasons before, but this one seemed especially odd. Saw it during a PS4 match last night. It's obviously mostly a Part 2 and 6 mashup, but is that a pre-Uber Jason X mask? And what's with the bare arm? Also, from the rear, it looks like Jason is trying to give himself a pat on the back. Lol. I’ve never seen that one. On the xbox, I’ve only seen Retro Savini a few times. 1) The mask. 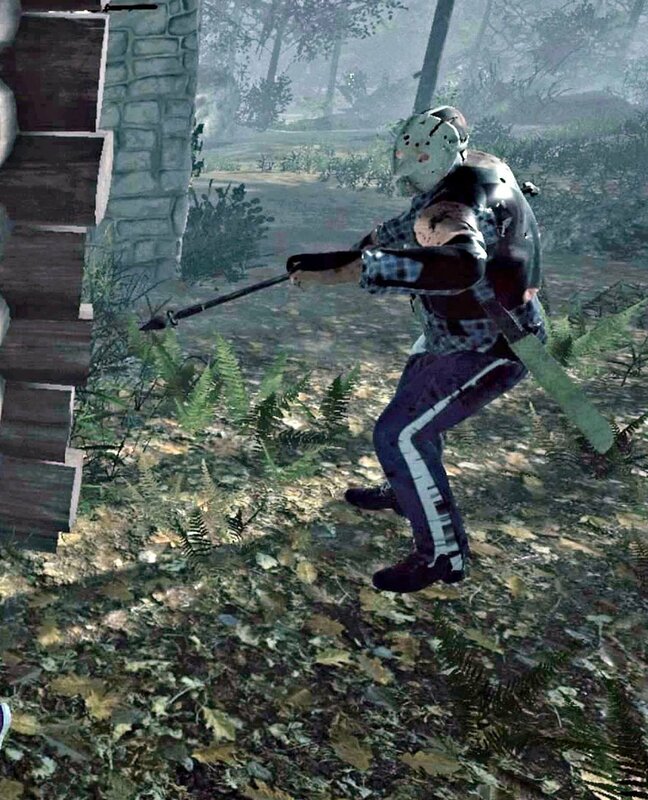 It looks like a pre-Uber Jason X, which makes me wonder if that was buried in the game's code somewhere along with Uber Jason. At the very least it's not like any other mask I've seen in the game. 2) The sleeveless arm. I guess that's part of a counselor skin, but I'm not sure which one. 3) Usually these mashups only appear in the cutscenes. Usually at the end. This one was this way the whole game, from opening cutscene through game play and right on to the final cutscene. It’s awful and beautiful all at the same time, lol. Jason's apparently a big Barry Horowitz fan. It is part of the random character selection bug. 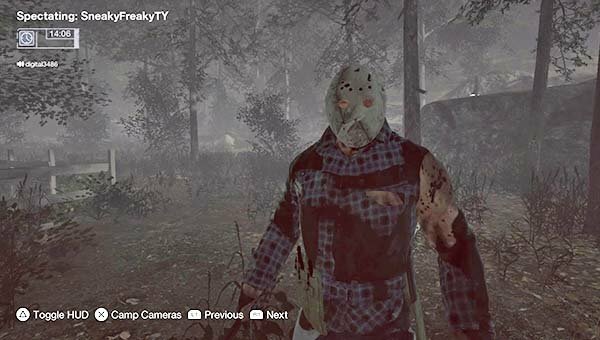 For some reason, it mashes two or more Jasons together... and you may, or may not get the kills from a Jason you did not have selected. There was a thread on this when it started happening, but I don't remember the title... 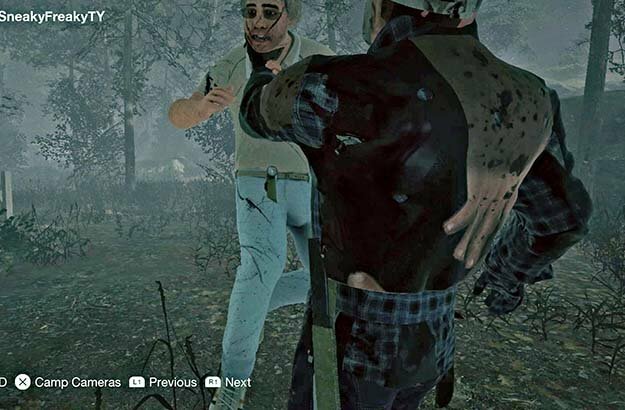 But in that thread it was explained that Savini Jason does sometimes figure into the mashup in the ending cutscene whether you have him or not.